One of the most frequented places in India, and home to one of the most famous monuments in the world, Agra and is on everyone's bucket list. 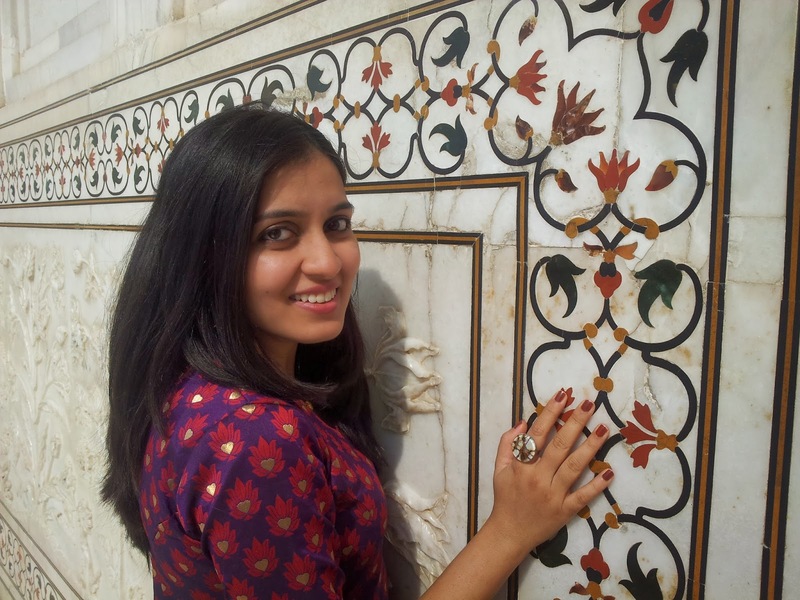 Yet it was difficult for me to find a really comprehensive food guide to Agra! Part of the Golden triangle of Delhi and Jaipur, imagine the delicious triangle of food, the Rajputana royalty of Jaipur, the Mughal rich culture of Agra and the powerful draw of the capital state of Delhi, wow lip smacking journey. 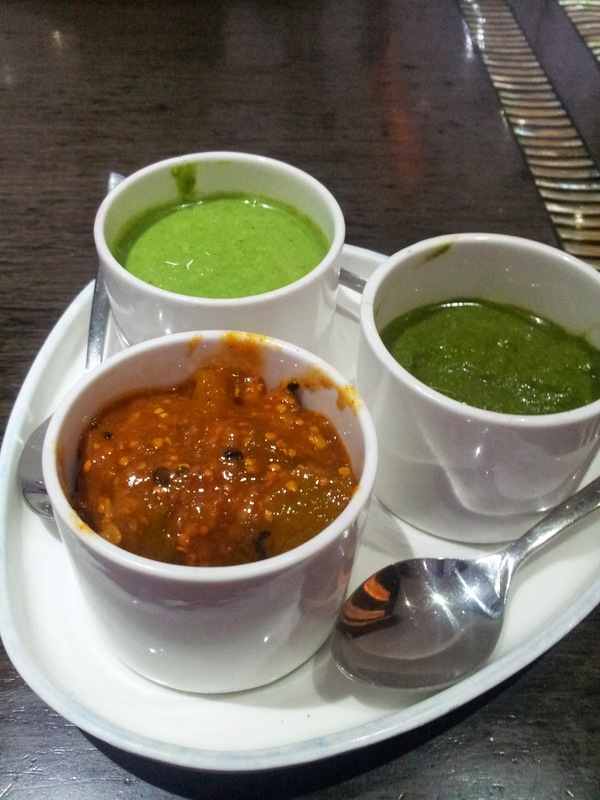 But whereas much has been said and written about Delhi and Jaipur, Agra still remains much of a foodies enigma. 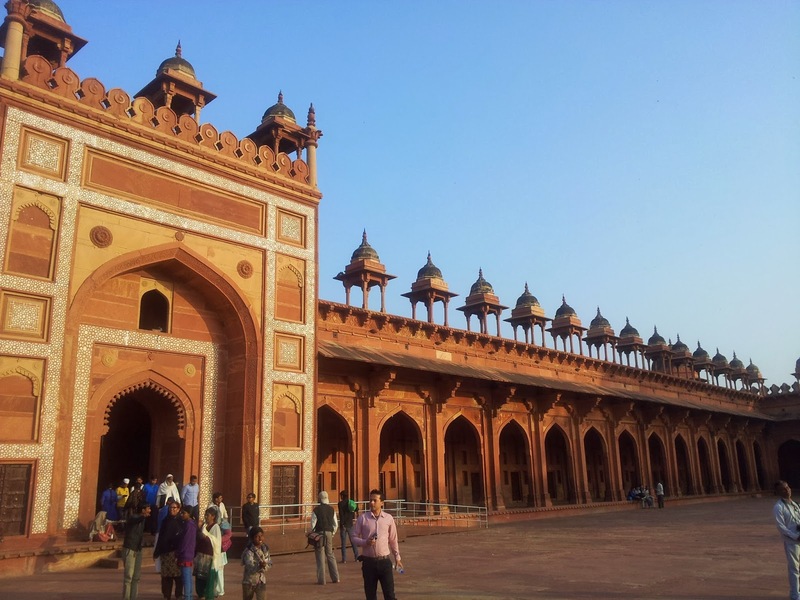 Thousands of tourists visit Agra EVERYDAY, this food journey to Agra and one of the wonders of the world is a journey worth taking. 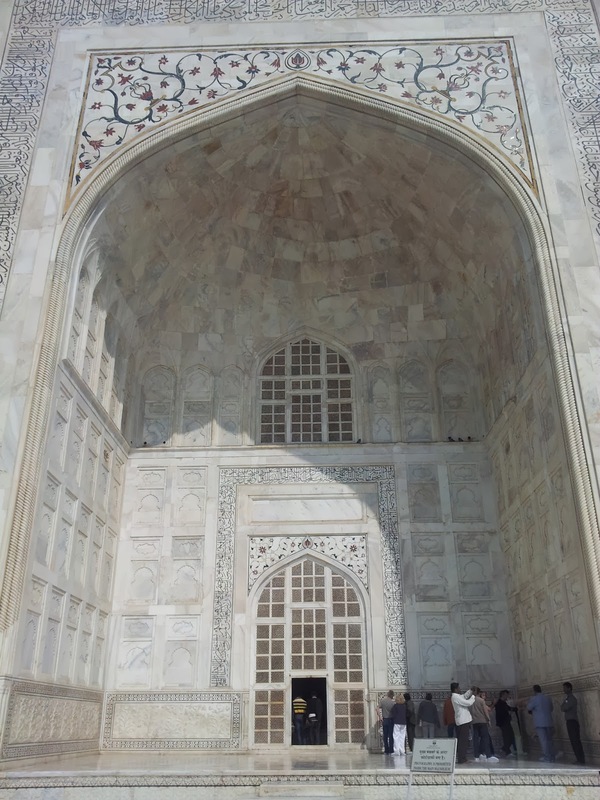 The Taj Mahal is a study in symmetry, its almost ascetic and austere in it’s beauty. White and unadorned, its gems stolen by previous invaders, it almost glows with a light of its own. With its high domes, tall minarets and many manicured gardens it commands awe. The carvings on the wall, the intricate designs and the many optical illusions explained by our guide, do not distract from the fact that this is a tomb of a king and his wife. The Taj Mahal is in stark contrast to Agra city itself, where the Taj is white and stark, Agra revels in its multi hues and chaos. 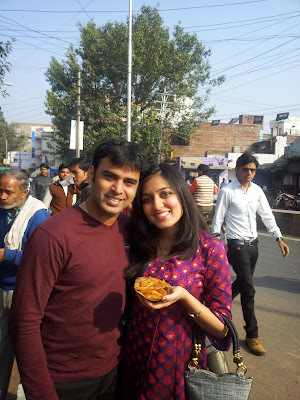 The anarchy and chaotic streets, are very much like the sweet jalebis sold on the streets of Agra. 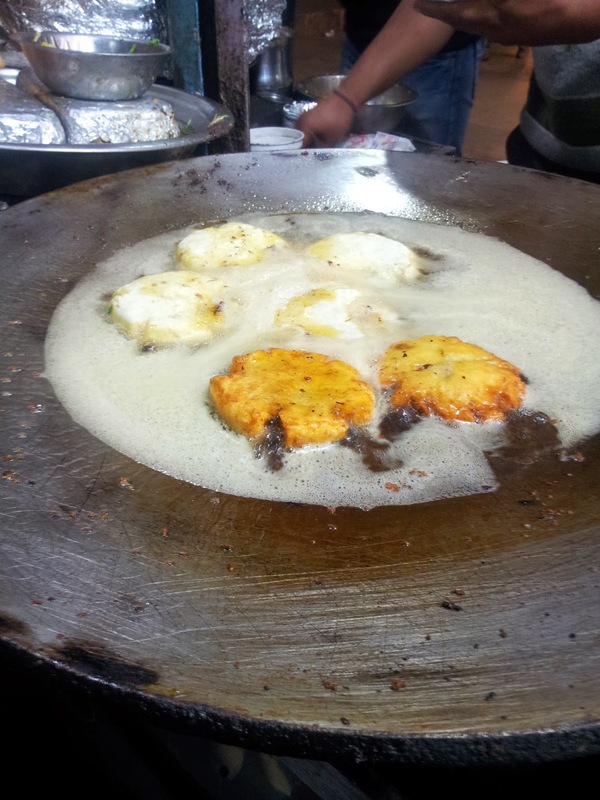 The preferred morning breakfast is that of deep fried fritters called kachori, which are savoury and can be enjoyed with potatoes or any other savoury curry, and curd. 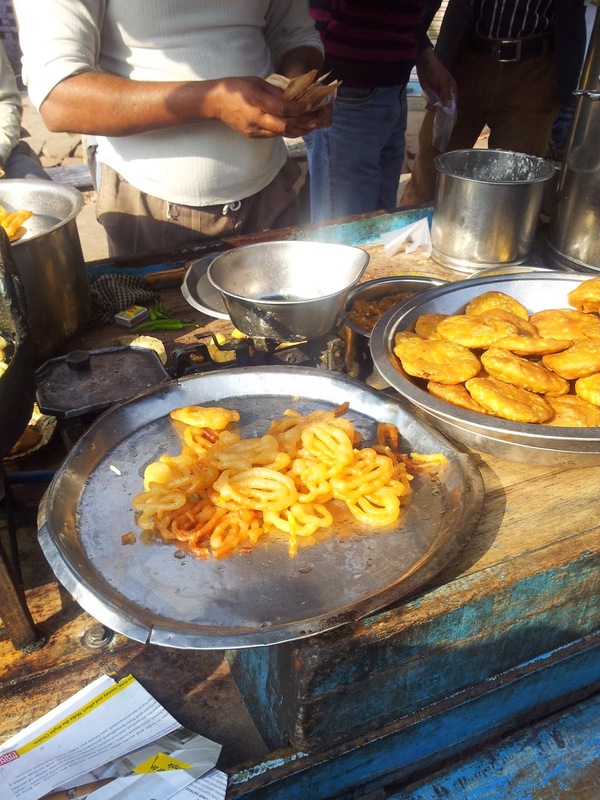 To balance this savory meal is the deep fried fritters, dipped in sugar syrup called jalebis. 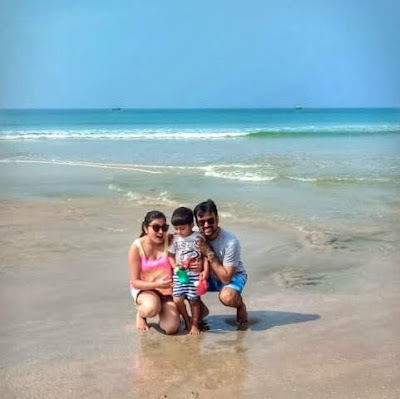 When I told Pawan, my husband that this was what the locals had for breakfast, he balked at the idea of having so much unhealthy cholesterol, so early in the morning, and actually questioned my research. But I knew it was true, because even in Calcutta, we have kochuri and jalebi for breakfast, yes with the potato curry too, its sold in little bowls made of dry leaves stiched together with dry branches, and yes even though it sounds exotic, it reminds me of my childhood, and summer vacations in kailash bose street. 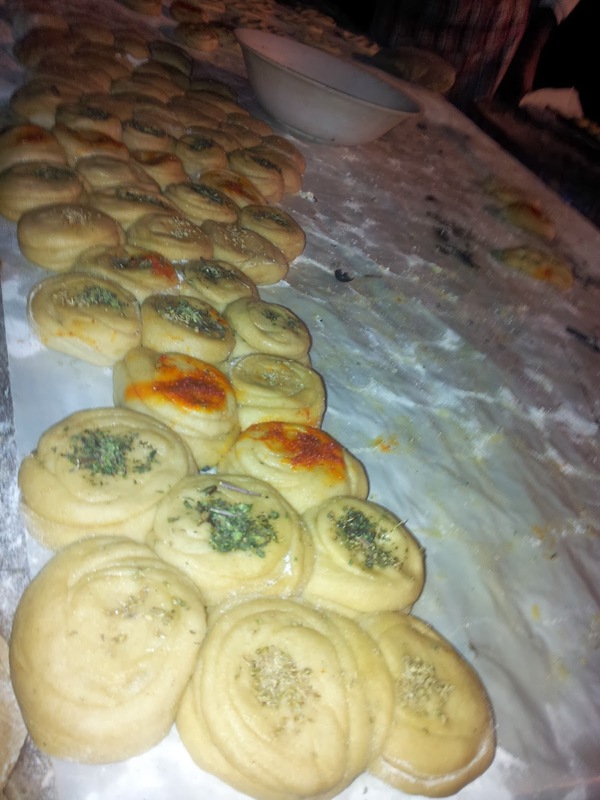 So in memory of my childhood breakfast we ate at GMB sweet shop and the kachorui and jalebi was nice but nothing great. 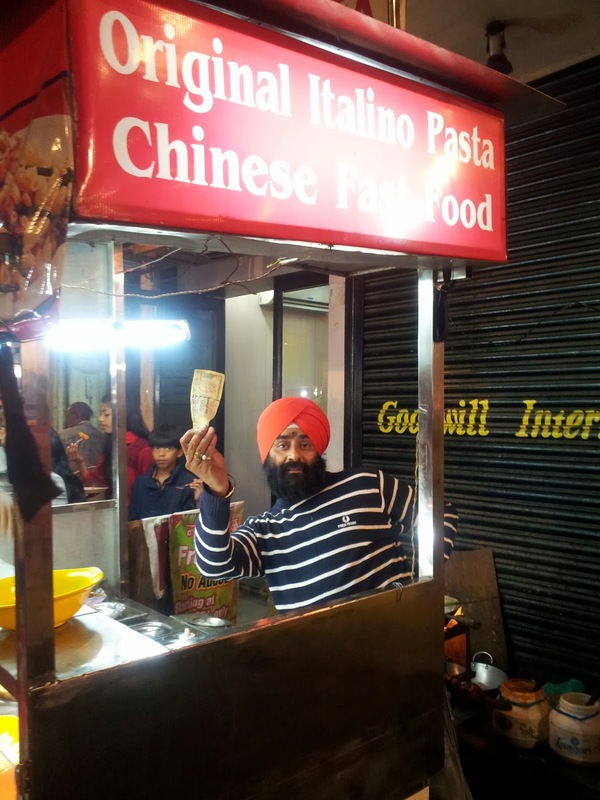 Then on our way to the Taj mahal, we saw a street vendor making fresh hot jalebis right on the road! 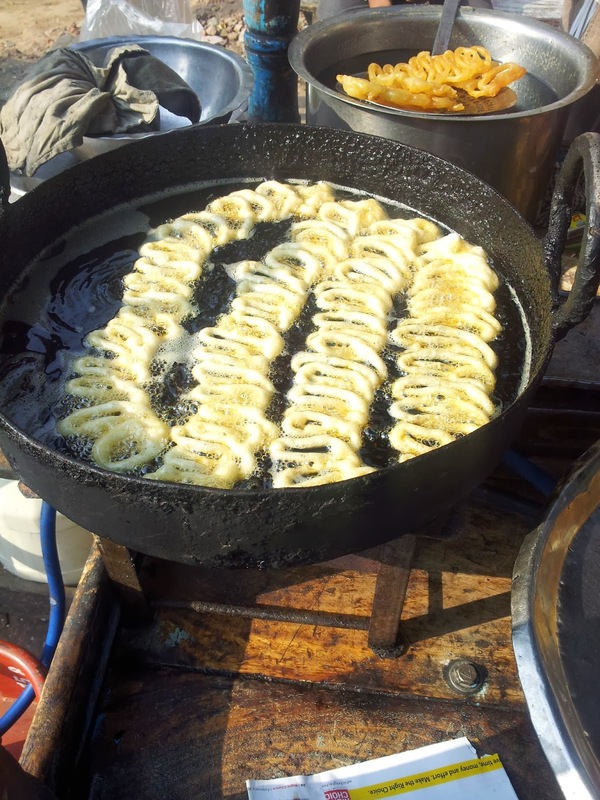 They were undoubtedly the best food in Agra, people come here for the Pethas, but Jalebis are irrefutably the national dessert of India. Rich, unabashedly sweet, crisp as well as soft at the same time and a shape difficult to describe, and no matter how much you try you really cannot get the sticky syrup of your fingers, truly India. food tastes better when eating off the streets! 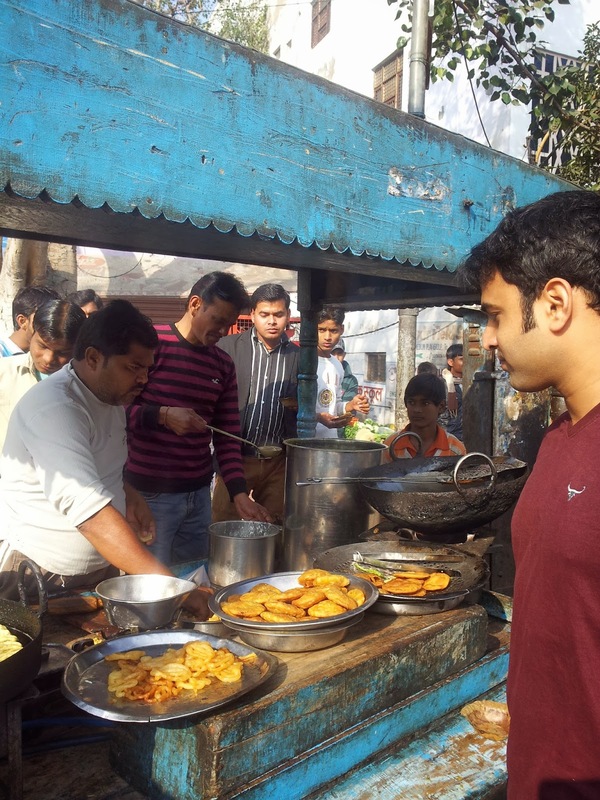 But ofcourse when in Agra, you must partake of Pethas. 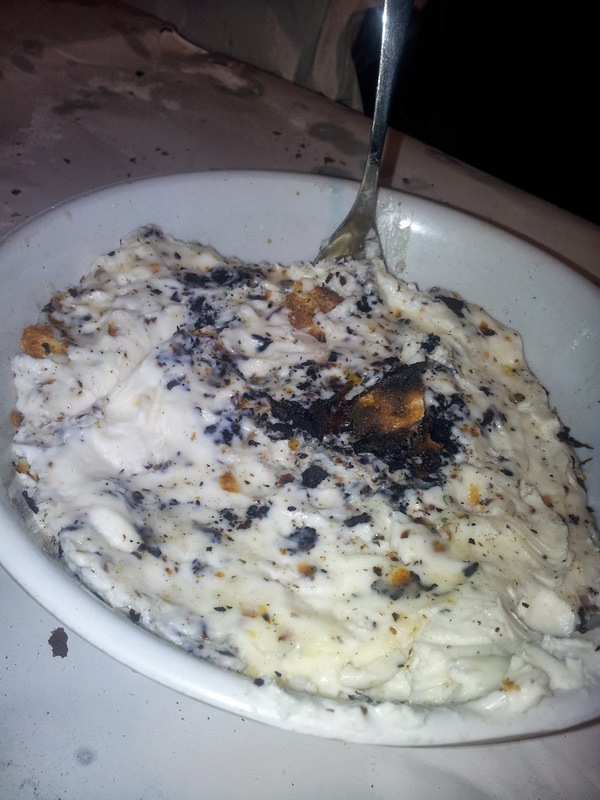 Petha is…. 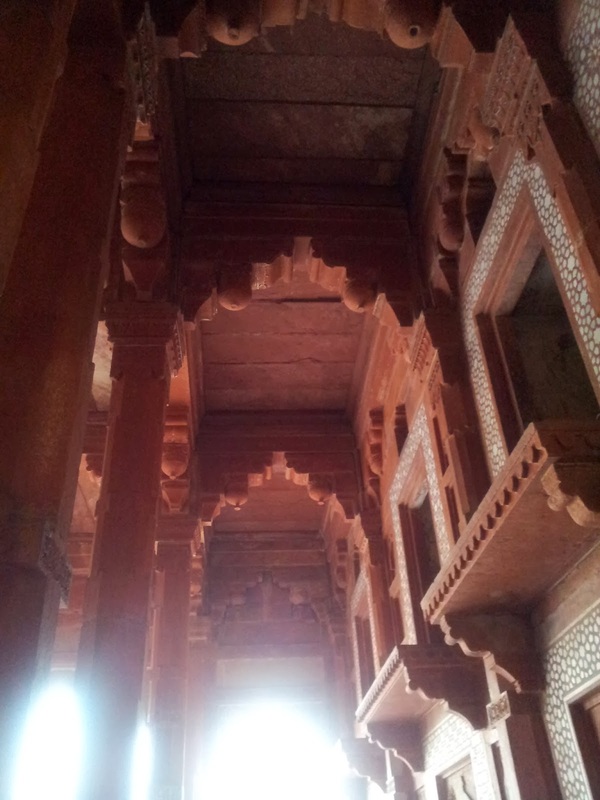 And like many things in Agra, there are many duplicates of the original. Panchhi petha is the original, but then every where you turn , every shop reads panchhi petha. Our friendly auto rickshaw driver gave us a helpful tip to spot the authentic one. Look at the small print above the board that says panchhi petha, most of the copy cats will have small prefixes, like new panchhi petha, or national, or best panchi petha . So where is the ‘real’ panchi petha?? 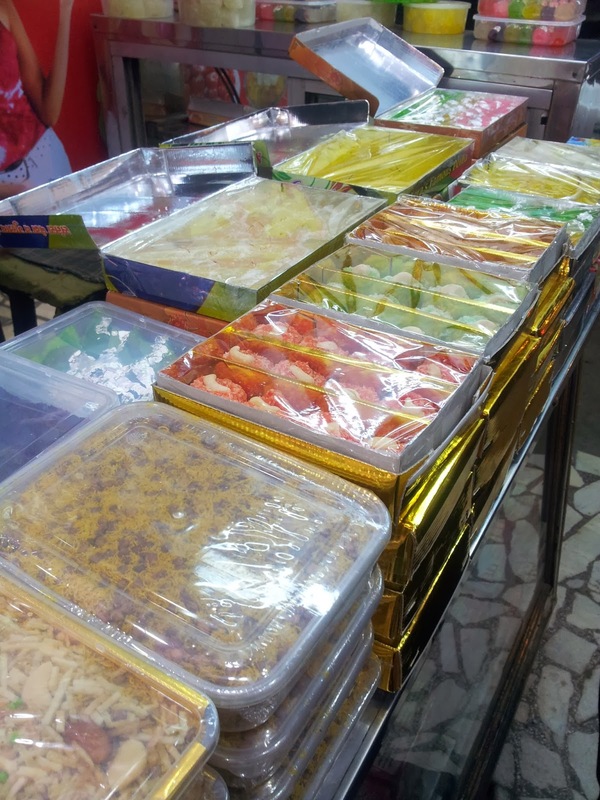 They have a branch in sadar bazaar, the local shopping street, its under hotel Pawan. It’s a well hidden secret, and now you know it. The problem is that so many touts are trying to cheat you in Agra that you can never be too careful. Having said that, the not so authentic pethas, were good to eat too, but I am no great fan of Petha, and if you are going to have just one, you might as well have the best, right? 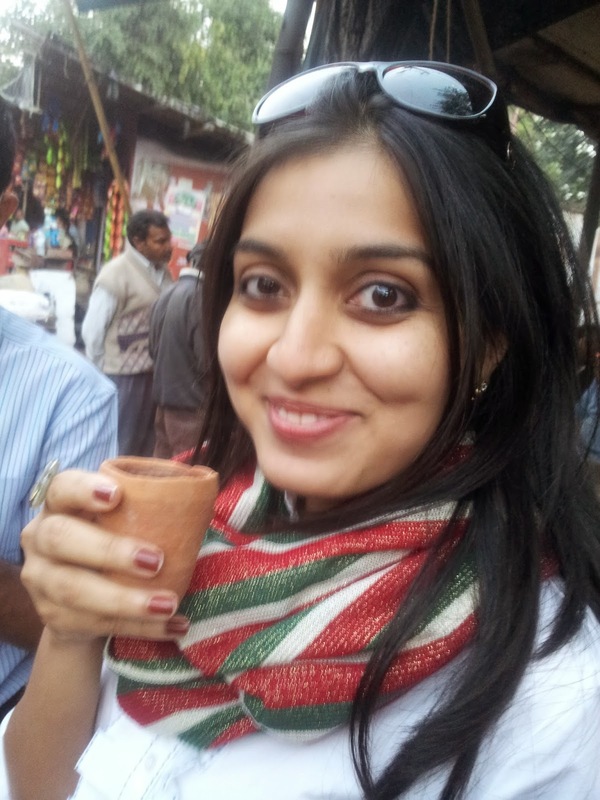 One thing which I just can’t get over is how much better the chai tastes in Agra. 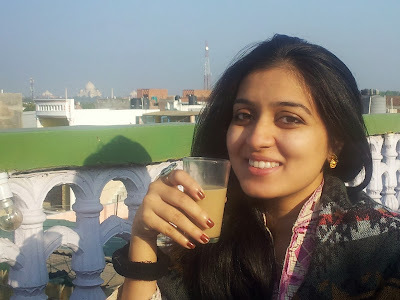 Drinking cups of tea from the terrace restaurant while watching the Taj Mahal was one of the highlights of our visit . I managed to sneak into the kitchens to see if they used any secret ingredient, and realised that it’s the milk that makes all the difference. Not only do they use more milk in their tea, but they also use full fat buffalo milk and not the low fat skimmed variety I used at home. hot cups of chai and the Taj mahal in the distance. rich and creamy buffalos milk, the secret to great chai, I think I gained weight just drinking tea. Yaay! 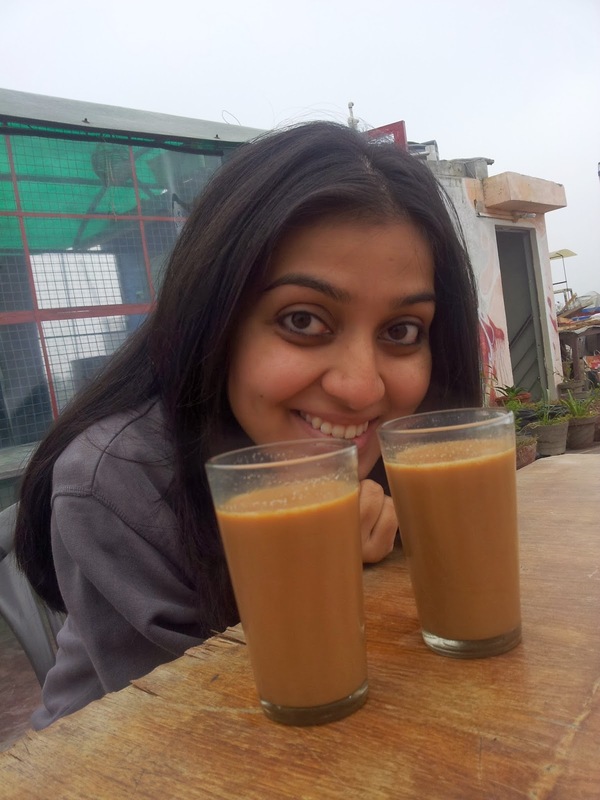 we are going to have kulhad ki chai! beware this tea is spiked with dust.! 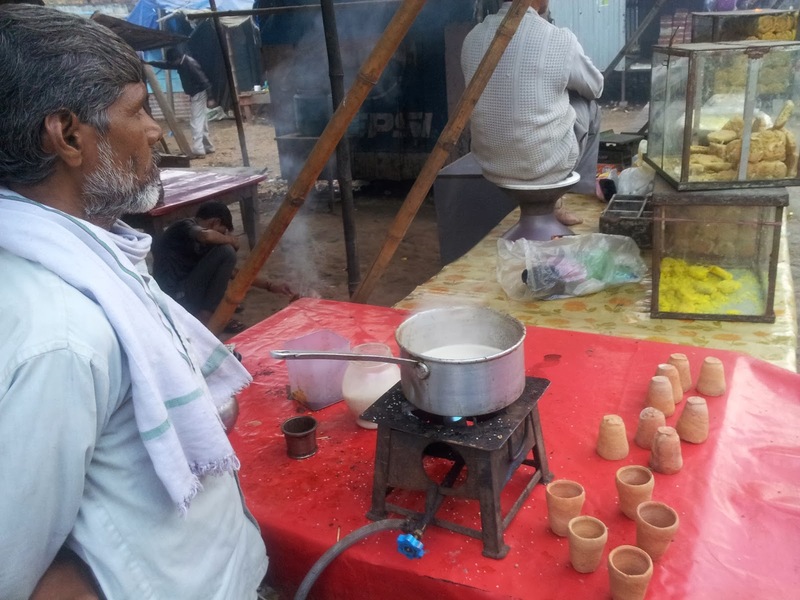 Our travels took us to fatehpur sikri and having tasted such excellent tea, we were mighty excited to see the famous Kulhad or earthen pots in which tea is supposed to taste even better. It didn’t . The tea tasted mildly of mud and a bit grimy. 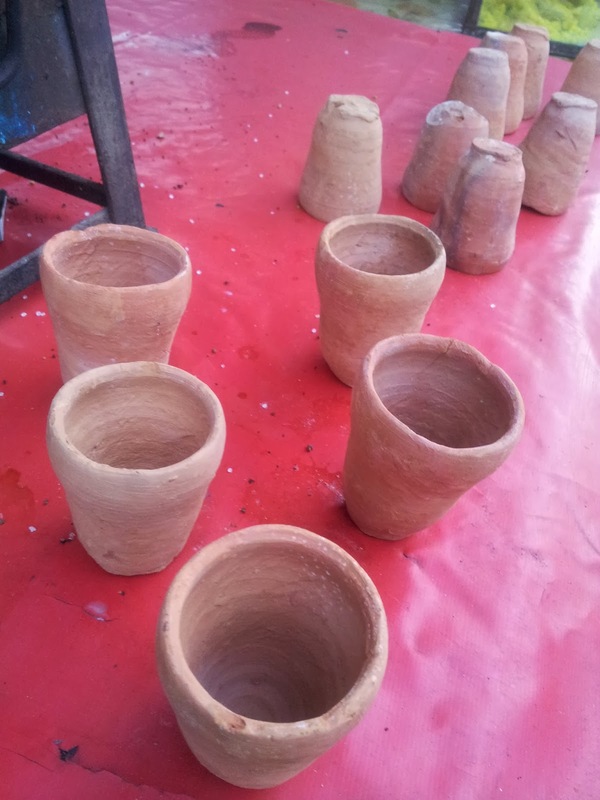 The earthen pots had been by a busy highway street and all the dust and traffic smoke must have got coated on the pots . Ofcourse we should have asked for the pots to be washed but, I guess we live and learn and I’m just glad the stomach growling stopped by next morning . Just goes to show that enthusiasm has to be tempered by good sense especially when in Agra. 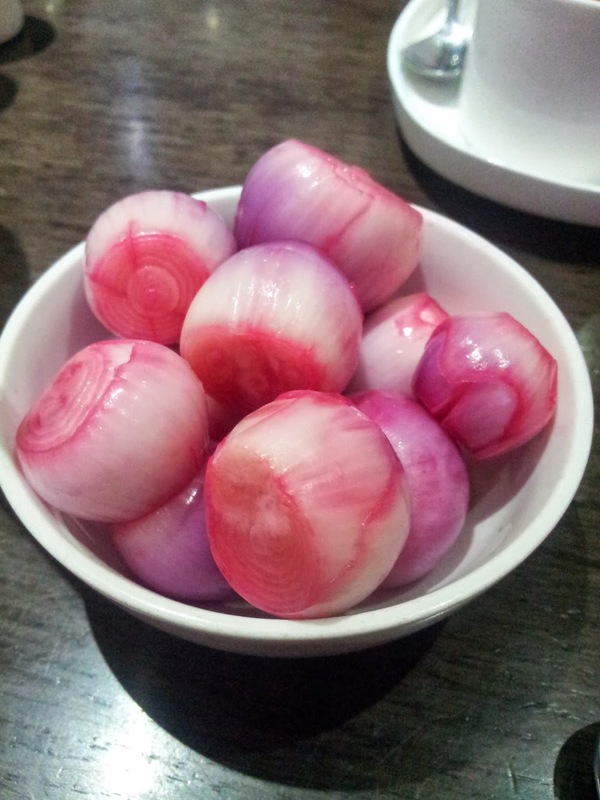 pimk pickled onions, a sure sign of north indian cuisine. YUmmmm! I by no means restricted myself to the street food. We ventured where many a tourist had ventured. 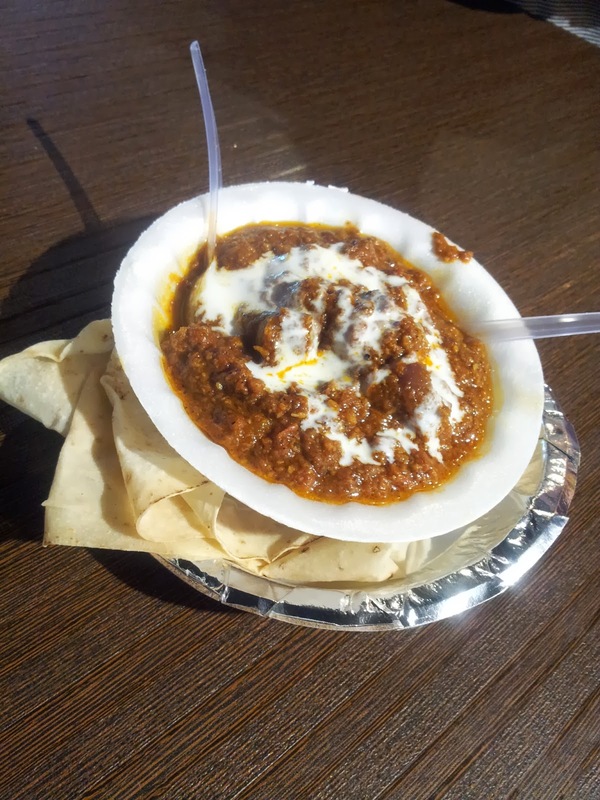 We went to the highly acclaimed Pinch of Spice, on fatehabad road and were impressed by the moist chicken, the generous quantity of the gravies, the attentiveness of the staff. A brilliant idea was to give us wet napkins at the beginning of the meal, because you really can’t have butter naan with forks and knives. This place is famous for it’s buffet, and it’s really worth the money, but a word of advice is to make prior reservations. Another place worth mentioning is Sai Khandelaa at the beginning of Sadar bazaar, a very dignified and quiet eatery, in the midst of the hustle bustle of Sadar bazaar. 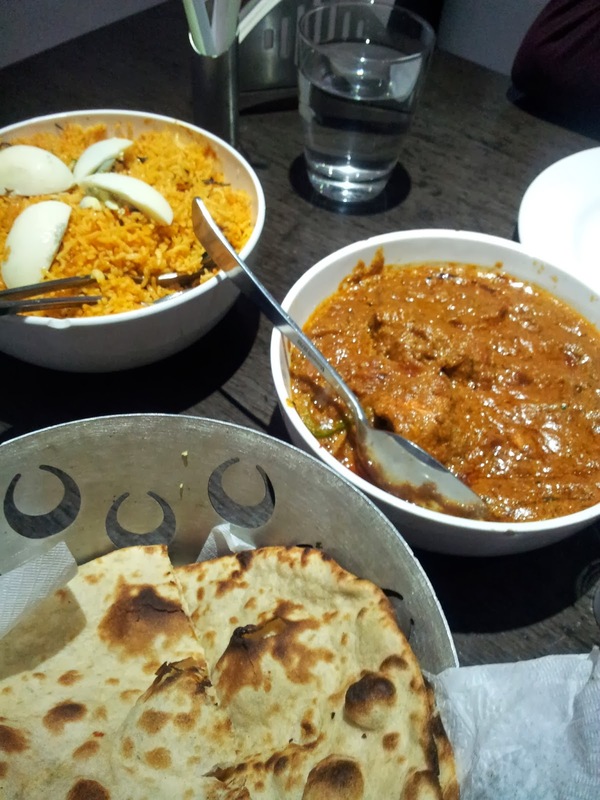 The flavours were mellow and layered with mild fragrant ingredients very much suited for the international palate and added a touch of sophistication to the butter chicken and lachcha paratha. 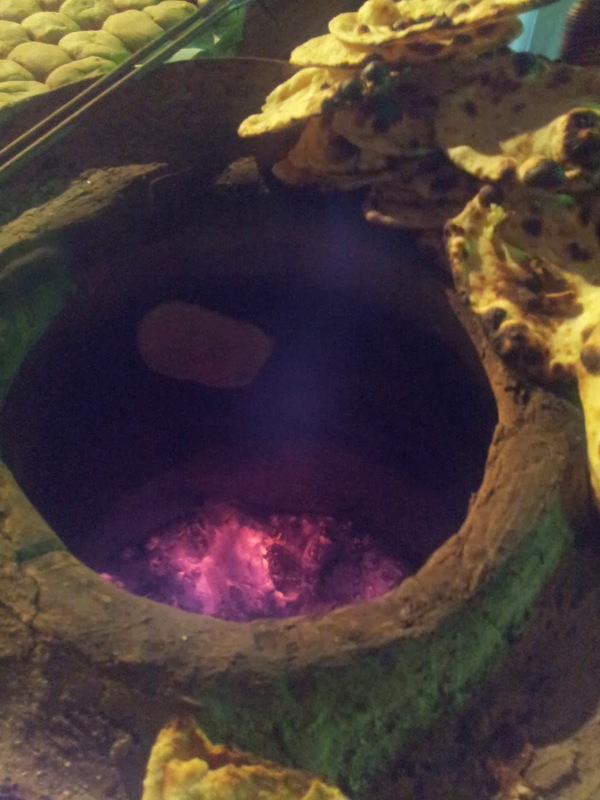 the tandoor, a coal lined oven for the flat breads. 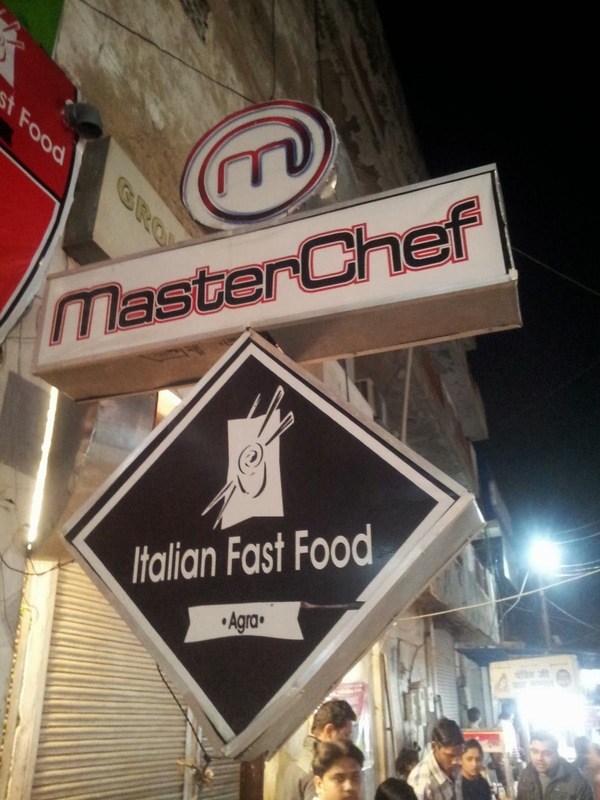 A masterchef on the dtreets of Agra!! the masterchef dish of Soya chaap. 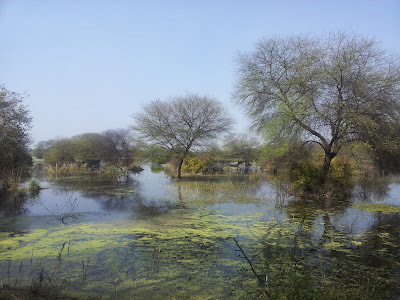 If you’ve gone to agra during the pleasant winter months, then you are in luck because it is time for the migrating birds to head towards bharatpur bird sanctuary. 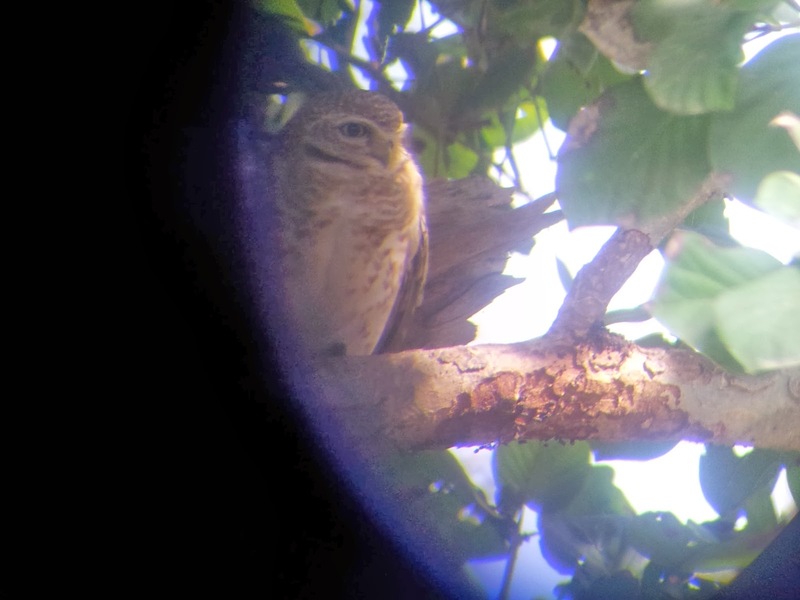 We had a very nice knowledgable guide and I must say that my knowledge of birds has vastly increased from the obvious parrot, sparrow and crow. After a hard days of bird watching the bharatpur ashoka lodge was just the meal we had been waiting for. 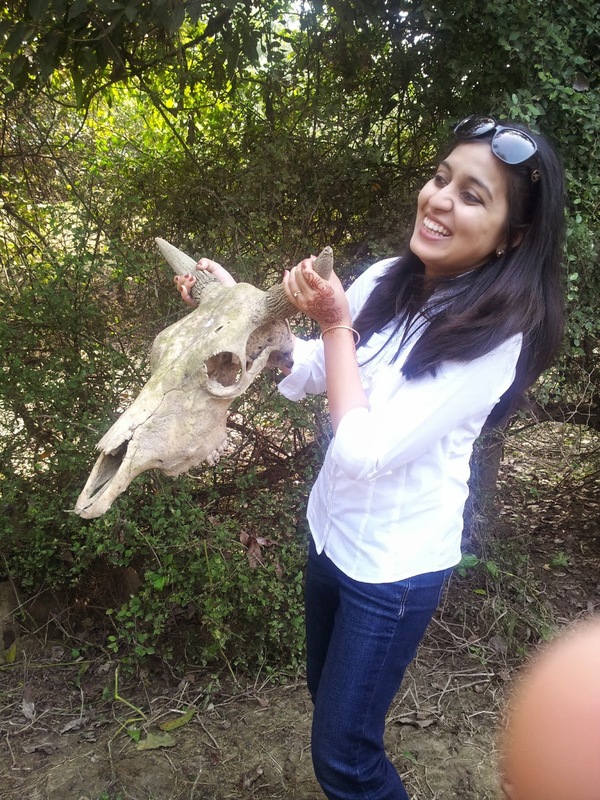 the dangers of travelling alone in the forest, the remains of some unfortunate animal. The first impression of Agra is one of a crumbling town, living in chaos and completely oblivious to the beauty that it has been blessed with. 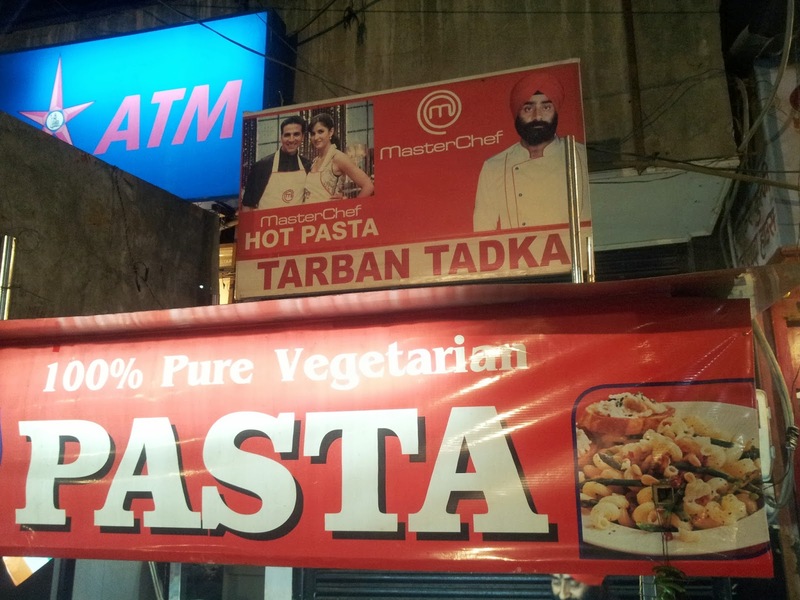 Some may say it is the rustic charm of the ‘real India’, but sometimes the real India got a bit too real. 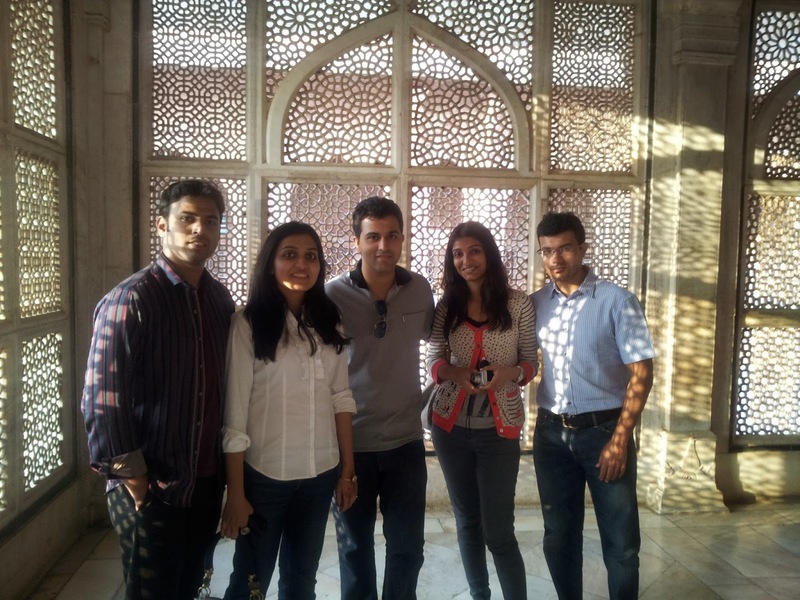 My visit to Agra left me with mixed feelings, on the one hand I loved the unpretentious and earthiness of the food and the people here, while the sheer disregard of the people for their heritage and the unscrupulous treatment of unassuming tourists left a bitter taste in the mouth. To say that Agra is stuck in the past would be a travesty , because just a few short centuries ago they had built awe inspiring monuments , cities famed for their architectural beauty as well as cunning designs such as hidden doors,and secret passageways,methods of air conditioning entire hallways in the absence of electricity and gardens with bubbling fountains in the absence of motors. The sheer ingenious designs of the Mughals leaves one awestruck also a bit sad. To think that a mere 350 years back Agra had been a cynosure of such adoration and today the citizens and the government are so unmindful of the decline. It had once been the capital of undivided India, and today it might not find itself in the top 20 cities in the country. 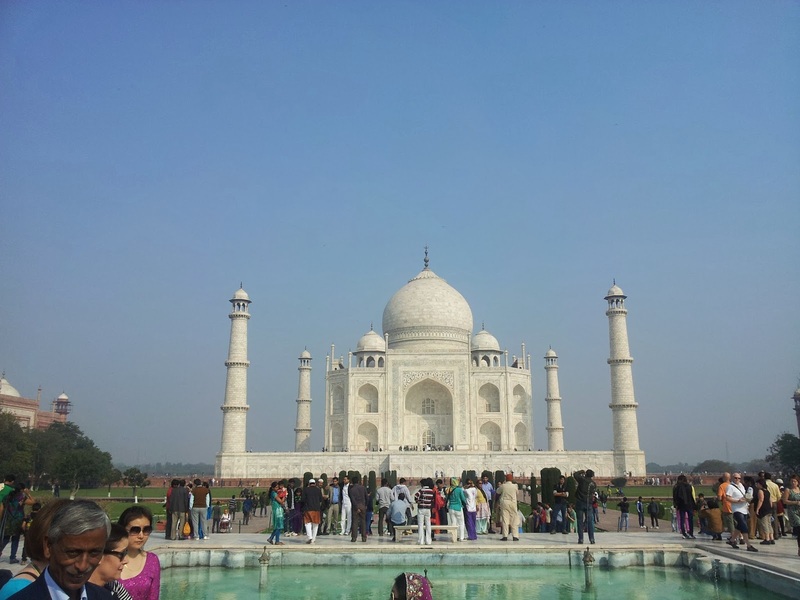 Rabindranath tagore once said that the Tajmahal is like a tear drop on the cheek of time, and truly when you look at the beautifully manicured gardens of TajMahal highlighting the gleaming Marble palace, contrasted against the rest of Agra, it does make you tear up. 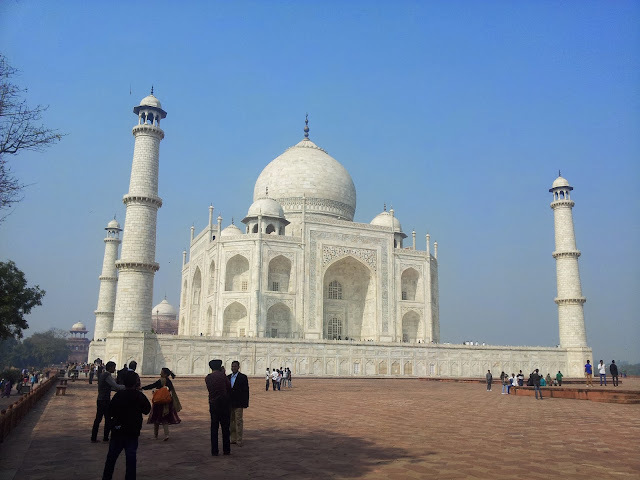 Agra deserves so much more, more attention , and care. 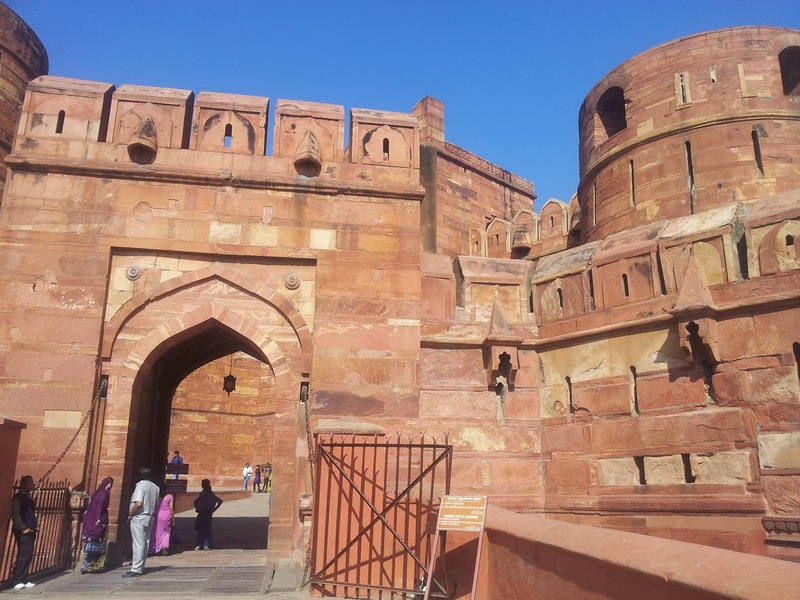 This place has seen the height of luxury, and as you walk the roads inside the Agra fort, and see the gleaming gem stones inlayed on marble, you get a glimpse into the past.